What’s next for car headlights? 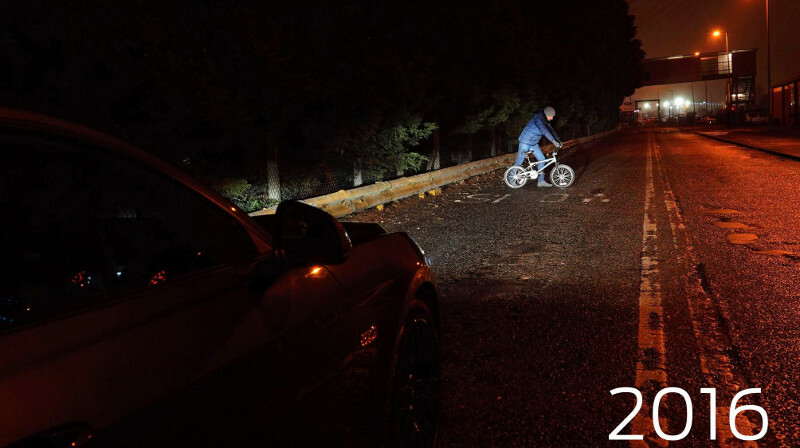 There’s no doubt car headlights have become brighter and better at lighting up the road in recent years. But they can’t just continue to get brighter. There is a limit to how much glare drivers coming in the opposite direction can cope with. It seems obvious to me that car headlights now need to get cleverer, not brighter. So what’s next for headlights? The improvement in visibility is clear. 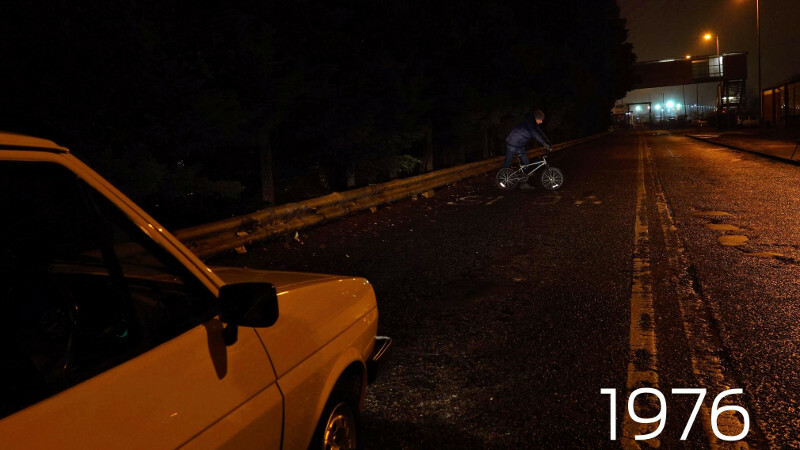 The cyclist in the picture was only 12m in front of the car in each photo, but was invisible in the 1908 photo, and far less obvious in the 1976 picture. 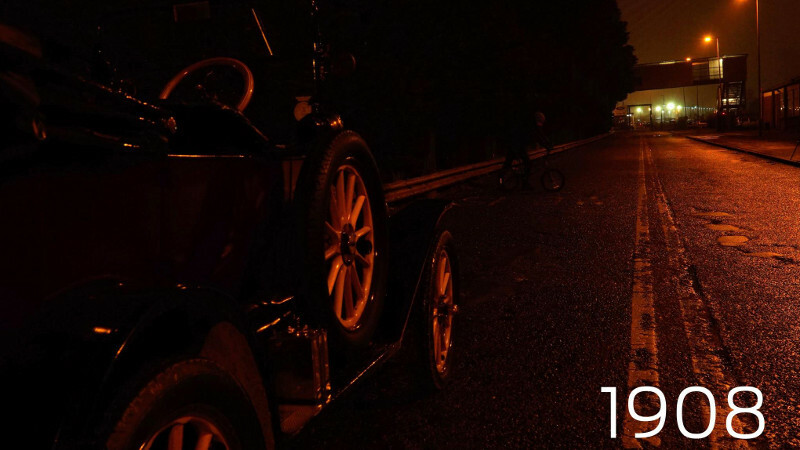 Drivers of the Model T – more than 15 million of which were sold from 1908 to 1927 – had to light their car’s acetylene (gas) lamps before setting off. Since then, lighting has moved through several ages — standard incandescent bulbs, halogen bulbs, xenon lighting and now LED lighting. On the other hand, average speeds are much higher than they were in 1908 or indeed 1976. And levels of traffic and ambient light are much higher than they used to be. In my experience this creates conditions where oncoming lights can be dazzling — on dark country roads, for example. A second risk is that ambient light can create distracting glare and shadows. Does being bright make you clever? As I said at the start, it’s clear that car headlights need to get cleverer, not just brighter. The good news is that this is starting to happen. New cars are starting to offer headlights that adapt to speed and illuminate around corners. Another recent innovation, according to Ford, is headlights where the light fades gradually at the edge of the beam, rather than stopping abruptly. This means that objects come into view gradually — and sooner — than if they were lurking in the dark spot just beyond the beam. According to Ford lighting research engineer Michael Koherr, forthcoming headlights are likely to include technology that uses infra-red cameras to help draw the driver’s attention to pedestrians, cyclists and even large animals in the vehicle’s path up to 120m away. Systems like this will work hand-in-hand with other safety systems such as autonomous emergency breaking to help reduce collisions caused by poor visibility and driver inattention. Of course, all of this technology is now heading firmly in one direction: self-driving cars. Ford is one of several manufacturers that has declared its view of the future is a direct move towards self-driving vehicles. Personally, I think that self-driving cars have the potential to trigger a revolution in personal travel. I believe this could be the biggest change we’ve seen since the invention of the motor car. I believe self-driving cars have the potential to solve or drastically reduce many traffic problems, including pollution, congestion and collision rates.